[PDF] Sir Walter Winterbottom: The Father of Modern English Football | Free eBooks Download - EBOOKEE! 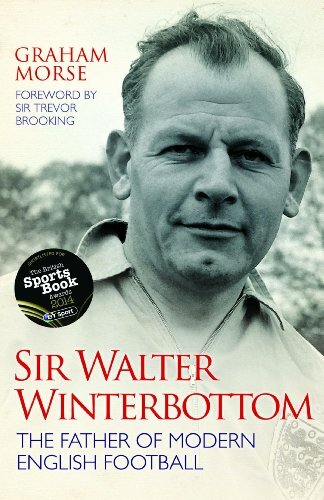 Description: Sir Walter Winterbottom was arguably the most influential man in modern English football. He is known as the first England team manager, but more than that he was an innovator of modern coaching, sports administrator and a man ahead of his time. Walter managed them all, from Lawton to Charlton, and inspired many to become coaches: Ron Greenwood, Bill Nicholson, Jimmy Hill and Bobby Robson were amongst his disciples and took his gospel to the clubs they managed. Born in 1913, Winterbottom started out as a teacher and physical education instructor, playing amateur football in his spare time. He was soon signed up by Manchester United, playing his first game in 1936 and winning promotion to the First Division in 1938. A spinal ailment curtailed his career, but during World War II he served as an officer in the Royal Air Force before the FA appointed him as national director of coaching and England team manager in 1946. He remains the only manager to have taken the national side to more than two World Cup finals and was created an OBE in 1963 and a CBE in 1972 before being knighted in 1978. Walter died in 2002 but his legacy continues to inspire many in football today, especially with the opening of the new St Georgeâ€™s Park football academy. With interviews and insight from top football names, this book â€“ written by Winterbottomâ€™s son-in-law â€“ also draws on personal diaries, photographs and letters. However, this is more than just a biography of one man â€“ itâ€™s the story of how modern football came about. No comments for "[PDF] Sir Walter Winterbottom: The Father of Modern English Football".